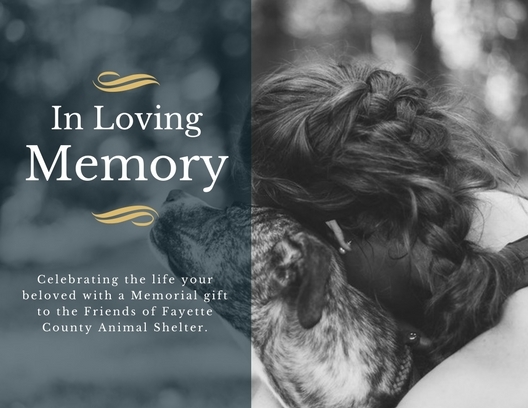 Remember a person or animal who has touched your life by making a memorial gift. We'll provide you with a special e-card to notify a loved one of your generous contribution! Whether it's a birthday, anniversary, or other life milestone, an honor gift is the perfect way to show a special person in your life that you care about them and animals in need. Not to mention, this is a great option for last-minute gifts! Make a gift today and we'll provide you with a custom e-card to notify this special person of your generous contribution!